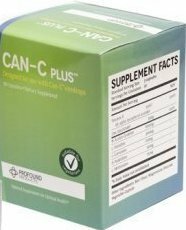 Can-C Plus ingredients are a dietary supplement and as such are not formulated to treat any medical condition or illness. Description: Can-C Plus ingredients have been formulated, approved and patented by Innovative Vision Products, the inventors of the Can-C eye-drop technology. It is specially designed to be used along with the eye-drops to help support their effectiveness and add efficacy and synergy to the original formula. Directions: Take 1 tablet three times daily. Other ingredients: Rice flour, magnesium sterate, vegetable capsule. Will one of these products get rid of my eye floaters? Hi: There is no direct research evidence of success, but reports from some customers suggest that application can reduce floaters because inflammation is brought under control. Have there been any clinical studies on if Can-C can improve a posterior subcapsular cataract in the back of the lens? Most of the customer reviews pertain to cataracts on the front of the lens and NAC eye drops has proven to be beneficial for them. I am wondering if the NAC eye drops can penetrate to the back of the lens as well. Thank you in advance for your response.